Batman #23 starts off with a bang – two bangs actually. We see a man reciting the lyrics to “My Wild Irish Rose” as he is being shot in the head twice. The man seemingly continues to recite the words after he’s died. The dead man, it turns out, is Swamp Thing’s father. The plant elemental shows up at the crime scene as Batman and Commissioner Gordon are trying to figure out how the killer came in through the 86th floor window. 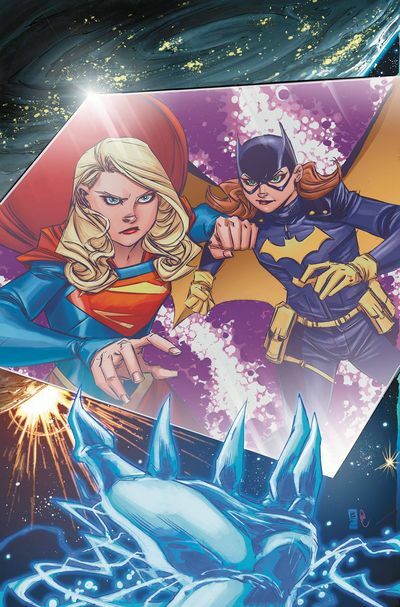 The resulting investigation is a superhero team-up for the ages. However, it takes a close second to the other dynamic duo – writer Tom King and artist Mitch Gerads, the pair behind the critically acclaimed “The Sheriff of Babylon.” As with that series, Batman #23 is a tale doesn’t disappoint. King spins a tight yarn complete with mystery, drama, revenge and a bit of pathos on the side. 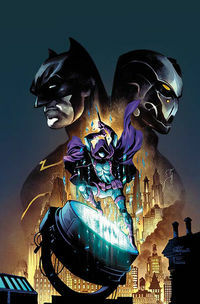 With his recent work on the book, King is proving himself to be a worthy successor to longtime Dark Knight scribe Scott Snyder. 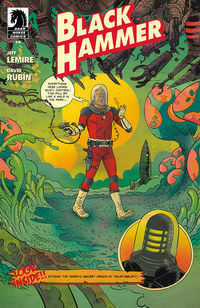 As compelling as the story is, it’s Gerads’ visuals that bring the story home. His Batman – normally the dominant figure in every panel – is dwarfed by Swamp Thing. It’s appropriate since ultimately, it’s really Swamp Thing’s story. 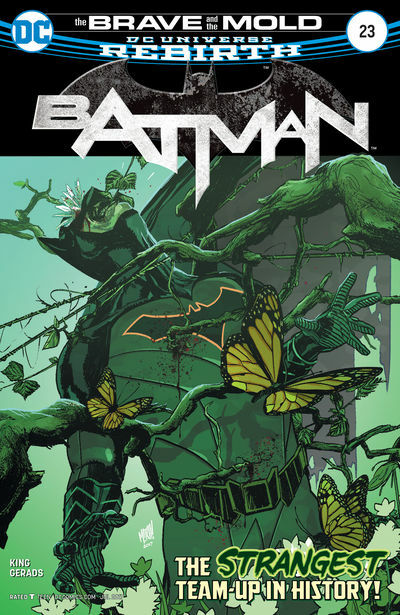 Gerads shades each chapter with its own color – green when we first see Swamp Thing rising from a small plant, shades of gray as the man is being shot, browns to match the mahogany walls of stately Wayne Manor. It’s an excellent visual effect which really adds an extra layer of depth to this fantastic tale. The surprise ending is every bit as emotional as it is gruesome, leaving nearly every character as a victim. Everyone, that is, except the reader, who will be thrilled with this great story. Love Batman? Then be sure to check out Dark Days: The Forge! Secret Empire #1: Hail Captain America! 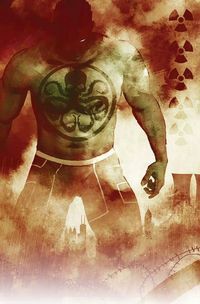 Never have the words “Hail Hydra” packed more of a wallop than when they are uttered by that star-spangled Avenger, Captain America, in Secret Empire #1. However, that’s now the situation facing the Marvel universe in the publisher’s latest event. As seen in Secret Empire #0, Cap has engineered the rise of Hydra by trapping most of the heroes in space or in the Darkforce. 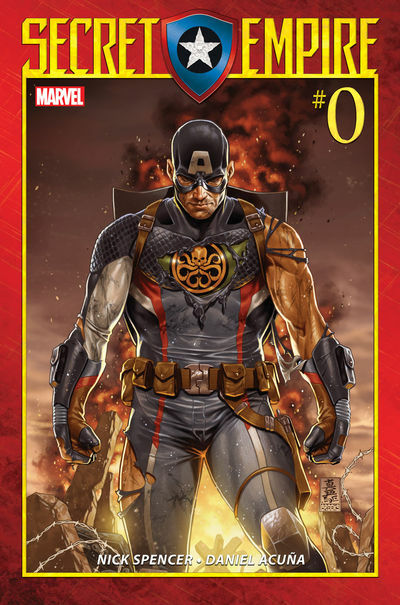 The book opens with a time skip, showing that Cap’s coalition of Hydra forces now control the United States – and have their sights trained on the rest of the world. Only a handful of good guys remain, led by Hawkeye and Black Widow. In the hands of writer Nick Spencer, this doesn’t feel like a typical Marvel event. The rules have changed, and the stakes are higher. The bad guy isn’t a bonafide villain like Ultron, Thanos or the shapeshifting Skrulls: it’s Captain America. The icon. Our unblemished hero. Spencer shows his knack for capturing the many characters’ essences without reducing them to caricatures. Cap shows his steely resolve, remaining Boy Scout-like even while approving pumping mind-altering drugs into the water supply. Carol Danvers’ Captain Marvel displays her bravery in the face of impossible odds. Even Tony Stark’s AI self gets into the act, appropriately sarcastic, drunken, womanizing, and even unshaven. Artist Steve McNiven has his hands full with depicting the new resistance, which includes members such as Viv Vision, Ironheart and the Hulk, battling the forces of Baron Zemo, Dr. Faustus and Arnim Zola. 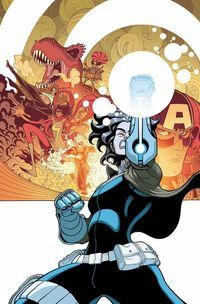 To cap off the compelling first chapter of this nine-issue series, Spencer hands us a shocking – no, really, it’s completely shocking – surprise that will leave fans divided but will compel readers to come back for more. Long live the Secret Empire! Secret Empire #1 Is Off To A Strong Start — Make Sure To Order The Remaining Issues! 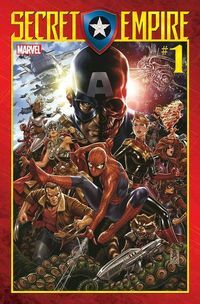 Secret Empire #1: Marvel Comics, Released May 3, 2017, Written by Nick Spencer; Pencils by Steve McNiven; Inks by Jay Leisten; Colors by Matthew Wilson; Lettering by VC’s Travis Lanham; $4.99. 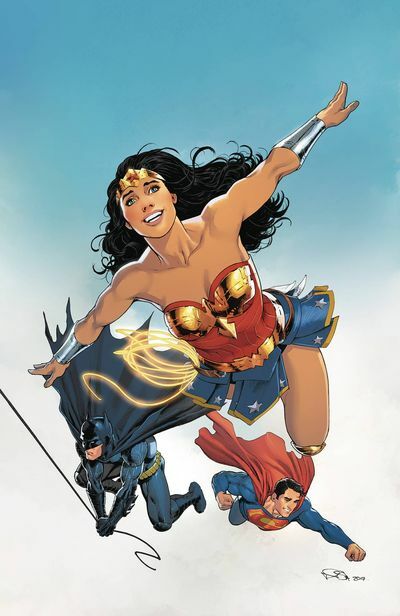 This week Black Panther and the Crew starts, Alien Day comes a little early, and The Prism of Time begins in Hal Jordan and the Green Lanterns for New Comic Book Day. Remember this was only a small batch of what came out this week. I wasn’t sure what to expect before reading Black Panther and the Crew #1. I knew of Ta-Nehisi Coates from his excellent run on Black Panther but I was worried that Marvel was spreading Black Panther too far, too fast. Imagine my surprise to find out that despite being a prominent part of the title, Black Panther doesn’t make an appearance in the issue at all. 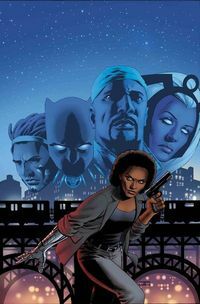 Rather, the issue follows Misty Knight (and a surprise guest!) in a story that hits close to real world events while still fitting nicely into the Marvel Universe. Coates expertly captures the tension that exists today in places like Harlem, making the issue informative as well as interesting. Since this is a Marvel book, you can expect some action, and artist Butch Guice does an excellent job depicting it. Black Panther & The Crew #1 offers something different than your standard Marvel comic and is highly recommended. I’m eagerly anticipating to see just how Luke Cage and Black Panther figure into the story. It’s not a book that was on my radar before but I’m immediately adding to my subscription; after you give it a read, I guarantee that you’ll feel the same. If you like this comic, you’ll love Coates’ work on Black Panther! Before we got Alien 3 in theaters, we got Dark Horse’s Aliens Comics. And oh boy were they exciting! I remember reading these as a kid in excitement for the next movie. Seeing Hicks, Newt and Ripley all together fighting against Xenomorphs, I couldn’t wait for the next movie! Alas, we got David Fincher’s Alien 3 instead. 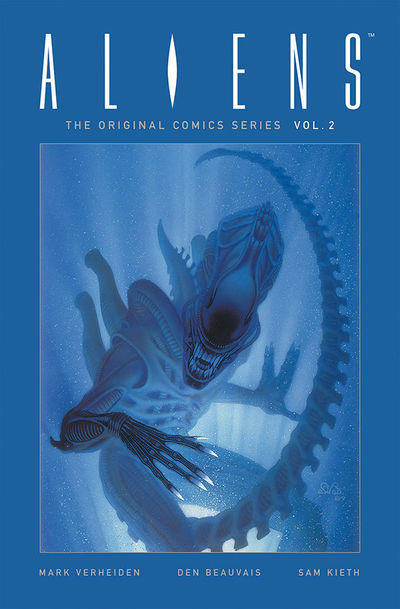 This rerelease hardcover contains the original Dark Horse arcs: Aliens: Nightmare Asylum and Aliens: Female War. It also reverts back to the original character names, which were changed in printings that came AFTER the release of Alien 3, from what I understand. Nightmare Asylum, by writer Mark Verheiden and artists Den Beauvais and Sam Kieth, tells the four-part story about militarizing the Xenomorphs and what Hicks and Newt do to stop it. In the second story, Female War, Ripley is forced back into the fray to protect Newt. This beautiful hardcover collection is a must have for Aliens fans! There’s no better way to celebrate Alien day on 4/26! MAKE SURE TO CHECK OUT ALIENS: DEAD ORBIT COMING SOON! Hal Jordan and the Green Lantern Corps #18, like many of DC’s current titles, represent a rebirth of the Corps. Back in their home universe, the Corps unites under John Stewart, whose first order is to unite both the Green Lanterns and the Yellow Lanterns together to form one supreme space force. As you can expect, tensions are high and bad blood soon turns into spilled blood. Just when things couldn’t look any worse, a surprise visitor lands on the Corps’ doorstep. This mystery man will be very familiar to fans of The CW’s Legends of Tomorrow! 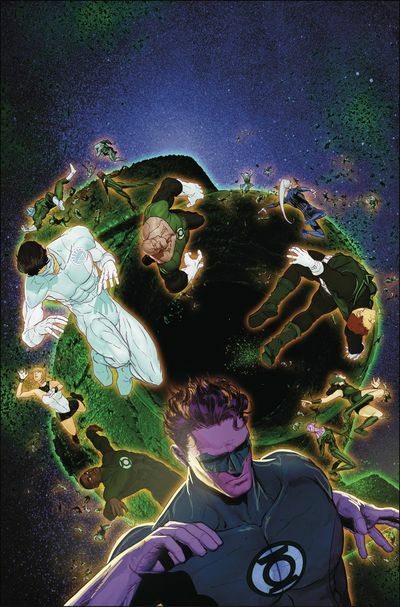 Hal Jordan and the Green Lantern Corps #18 is an excellent jumping on point for newcomers. Past events are succinctly explained and the focus is more on the future than on the past. 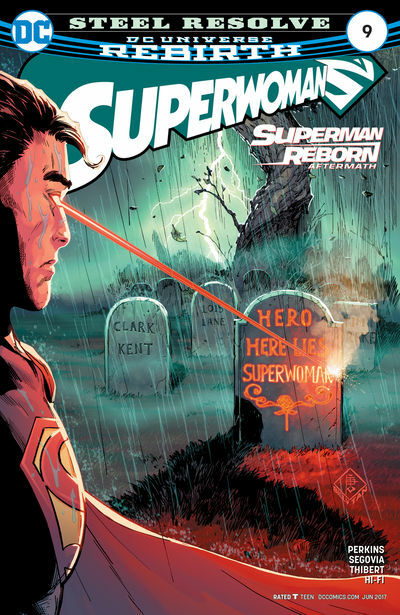 This arc is shaping up to be one of Robert Venditti’s best and will impact the Corps for years to come. If you’ve ever wanted to check out this comic, now is the best time! Check out Green Lanterns to see how this arc impacts Jessica Cruz and Simon Baz! 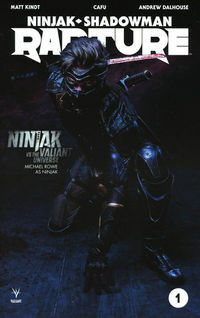 Coming in the first week of April for NCBD. We have X-Men Gold, Sovereigns and Shade #7. Check out our other blog articles so see our thoughts on other books. Be sure to comment or share our post on Facebook or Twitter if you like our articles! The End of the Golden Age. 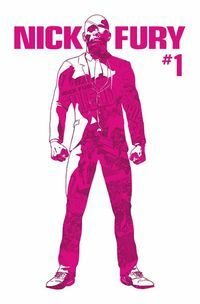 Sovereigns #0 kick off a new era for the Dynamite heroes. 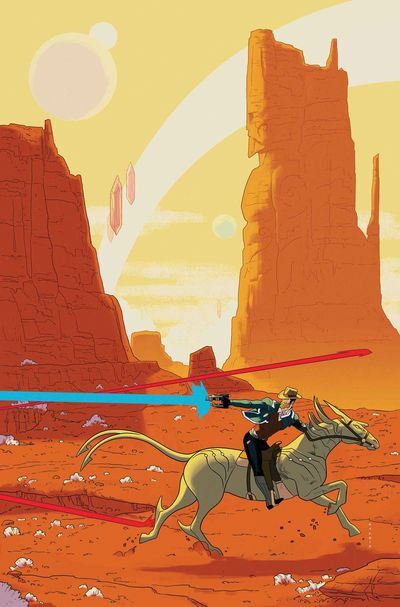 The comic starts off hinting at the end and slowly moves backwards to give us small bits of what’s to come in the series. 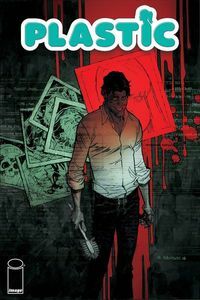 Not only are we shown what Sovereigns will bring but what the other Dynamite series, like Mangus and Turok, will also bring. 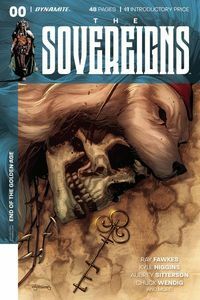 Sovereigns #0 is split into several sections and timelines, each one giving us a taste of what’s happened and what’s coming next. At a Dollar for This Introduction You Can’t Go Wrong! After the success of X-Men Prime #1, a great deal of pressure falls on writer Marc Guggenheim to keep the ball rolling with this brand. I’m proud to say he does just that and then some. The story in X-Men Gold #1 opens not with large amounts of exposition but with a bang, putting us directly into a fight between the X-Men and Terrax, of all people. By the second page, the book gives us almost everything the X-Men are known for, including teamwork and humor. By the end of the book, everything else the X-Men is missing is now there: prejudice, romance, softball games, and the surprise return of a group of villains that takes the X-Men back to their roots. 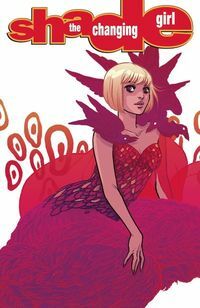 Billed as a stand-alone story, Shade: The Changing Girl #7 is a great jumping on point for anyone who has wanted to see what this book is all about. Fair warning: As part of the Young Animal line of comics, this is a book that is intended for mature readers only. The story that writer Cecil Castellucii tells is a sad one, and while it involves aliens and other interplanetary forces, the core of the story will resonate with anyone. The story touches on issues such as struggling to fit into society and feeling like an outsider even among friends. It’s a powerful issue with an ending that will truly make you feel for the main character. The art by Marguerite Sauvage is breathtaking and brings the story to life. 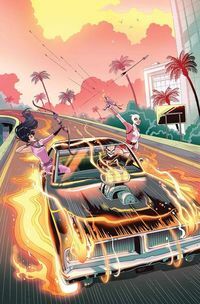 Be Sure to Pre-Order Shade: The Changing Girl Vol 1! The war between X-Men and Inhumans has ended. What’s next for the X-Men? If you’re looking for answers, X-Men Prime #1 is a good place to start. X-Men Prime #1 wraps up loose ends from the X-Men/Inhumans struggle and sets up the new X-Men status quo. In addition, Prime brings together three of the writers from upcoming X-series. And it lays groundwork for upcoming events and sets the tone for all the new X-books. Beloved X-Man Kitty Pryde has returned to Earth following her exploits with the Guardians of the Galaxy. She thinks she will be able to lay low and live a simple, somewhat normal life. However, that illusion is quickly shattered when Storm arrives and attempts to cajole Kitty into rejoining the X-Men. The X-Men and X-Mansion are in shambles, recovering from the battle with the Inhumans. Lady Deathstrike is on the move. The original time-displaced X-Men have disappeared on their own. The writers have delivered a script that is full of potential and interesting beginnings for the upcoming titles. Next month, Marc Guggenheim pens X-Men Gold, Cullen Bunn moves on to X-Men Blue, and Greg Pak writes Weapon X.
X-Men Prime sets up all three individual series beautifully, while keeping continuity between them. Resurrxion is a perfect place for new readers to jump in. 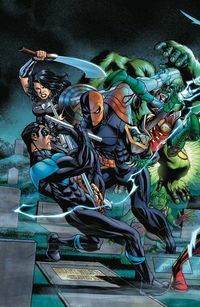 However, long time readers will also be fed by references to previous incarnations of the story, and the return of favorite veterans. After the three initial Resurrxion releases, keep an eye out for the other titles dropping this year. 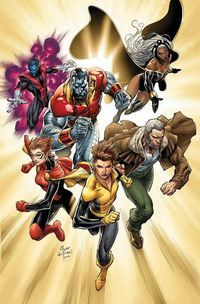 Generation X, Jean Grey, Cable, and Iceman are all scheduled for release in 2017.